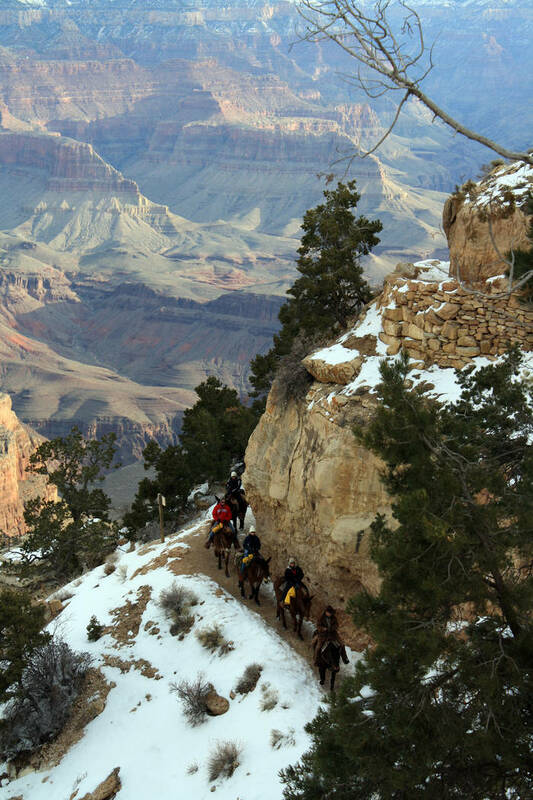 Visiting Arizona’s Grand Canyon is either on your bucket list already, or ought to be. If you choose to visit its popular South Rim, the best times to do it fall within the next two months. Weather is usually ideal for sightseeing and hiking, as daily high temperatures will often be in the 60s and 70s. 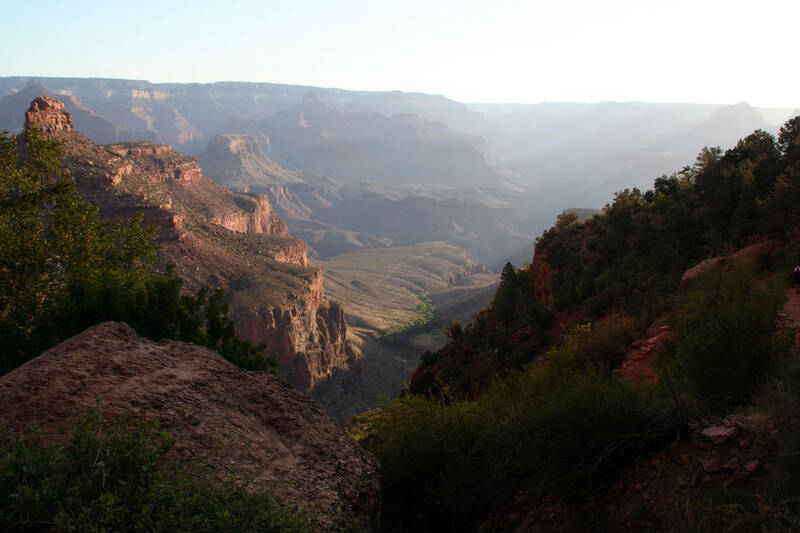 (Deborah Wall) The Bright Angel Trail offers good views of of the canyon in Grand Canyon National Park in Arizona. It takes hikers from the South Rim to the Colorado River. (Deborah Wall) Wrangler-led mule trains are a popular way to travel along the Bright Angel Trail in Grand Canyon National Park in Arizona. 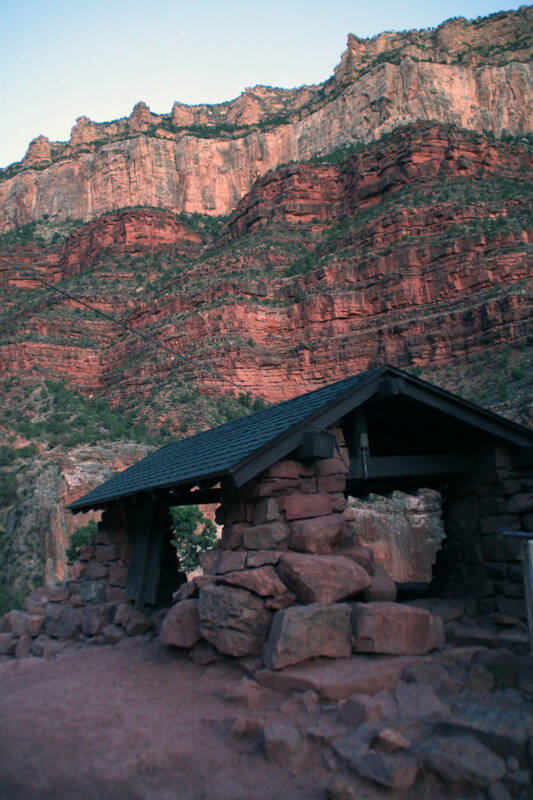 (Deborah Wall) There are three resthouses for hikers along the Bright Angel Trail, constructed of native stone by the Civilian Conservation Corps in 1935 and 1936. This year marks Grand Canyon National Park’s 100th birthday with special events taking place throughout the year. For a detailed list of Centennial events, visit http://www.nps.gov/grca. You can just linger on the rim and enjoy this marvel from its overlooks, but for real adventure descend into the canyon itself. One of the best routes to do this is Bright Angel Trail. The trail goes all the way to the Colorado River; for a day trip you’ll want to only go a few miles at most. You’ll start at an elevation of 6,820 feet, from a trailhead located behind the Bright Angel Lodge, next to Kolb Studio. The experience becomes memorable in the first few minutes, as the trail passes through a man-made tunnel. Just after the tunnel look up on your left to the cliff and a small alcove, called Mallory’s Grotto, where you will see American Indian pictographs. They are painted in red and depict elk. Pictographs are very old and survive only in such protected places. Continue as far as you feel comfortable but remember the return route is all uphill and a strenuous hike. Whatever bad choices you may be accustomed to making, don’t attempt to hike all the way to the Colorado River and back in one day. It’s 9.5 steep miles each way, and many have died trying it. Good destinations for a day trip are the Mile-and-a-Half, or Three-Mile Resthouses. You will lose 1,131 feet and 2,112 feet in elevation reaching those destinations and, of course, gain that much coming back. Super athletes could possibly go to Indian Garden and back, a 9.2 mile round-trip, but it’s very strenuous with a 3,060 feet elevation gain returning to the rim. Water is usually available year-round at Indian Garden but only seasonally (pipes often flowing in May) at the upper resthouses. Carry all the water you might need as the pipes break once in a while. 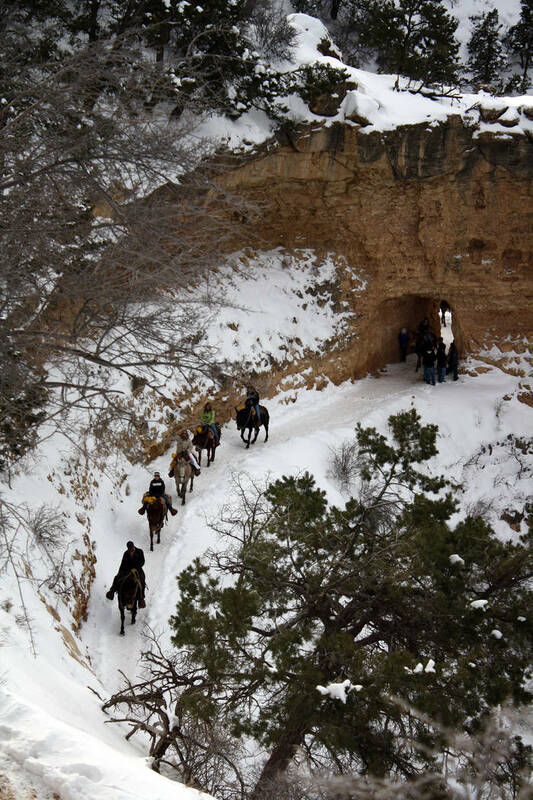 As you make your way down the trail you may see a wrangler-led mule train with tourists descending the canyon or returning to the rim. Etiquette calls for hikers to stand off the trail on the uphill side, if possible, and to stay put until the last mule is at least 50 feet past the last hiker. If reading this makes you think you’d rather be aboard the mule, be sure to make reservations well in advance at 303-297-2757. Sometimes saddles become available due to last-minute emergencies or the chicken-out syndrome, and you can get on a waiting list for such openings if you inquire at least the day before, at 928-638-2631. In addition to water, it’s a good idea to bring a snack. Be sure to wear a hat for shade, dress in layers and use hiking poles. Also, wear or bring an over-the-boot/shoe traction device for possible icy patches or snow at the top of the trail. Two good brands are STABILicers and Yaktrax, which are available at sporting goods stores, Amazon or in the park at the Grand Canyon Marketplace. For those looking to visit soon, be aware that National Park Service Fee-Free Day is April 20 to celebrate the first day of National Park Week. From Boulder City take U.S. Highway 93 south about 70 miles to Kingman, Arizona. Go east on Interstate 40 for 112 miles to Williams. Exit onto Arizona Route 64 and drive north for about 60 miles to the entrance to Grand Canyon National Park.